Demolish the possibility of motion blur and reach the peak of your 4K gaming potential with a refresh rate revving up to 144Hz1. What does a 4ms response time mean to you? It means that the annoyances of motion blur or visual artifacts will be practically nonexistent. Perfect. Lock your frames to game with NVIDIA® G-SYNC® HDR. Now that you’re part of the pack, enjoy your seamless, tear-free gaming. Smooth, tear-free gaming is illuminated in the darker blacks and brighter lights of the NVIDIA® G-SYNC® HDR display. HDR, or high-dynamic range, refers to image luminance and has a long, detailed explanation. In short: it gives contrast that realistic touch we crave in gaming. Nanosized dots that emit a specific color based on their size infuse your game with a lifelike-realism that only they can create. How does color accuracy down to the finest detail sound? If that sounds good, we’ve got your back with 99% Adobe RGB and more color coverage5 than sRGB. Predator GameView provides a number of useful features, such as setting the level of dark boost, making precise color adjustments and more. Gain an edge over the competition and fine-tune your visuals with Dark Boost for greater details in dimly lit environments. Minimize misfires with aim-points. 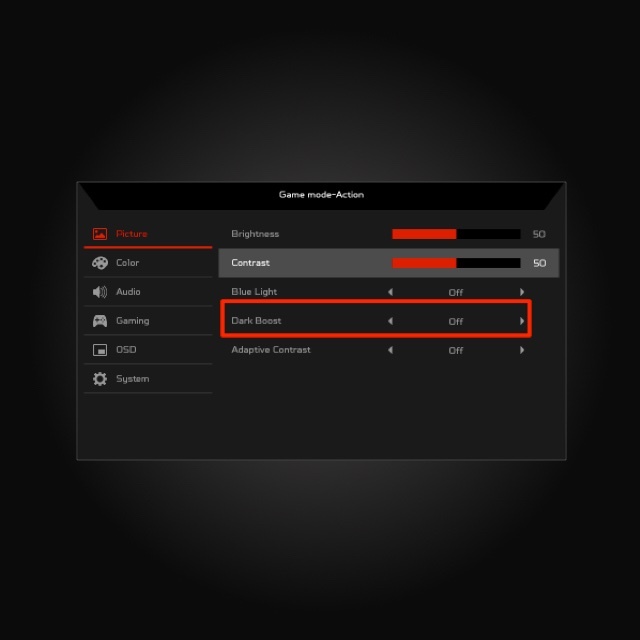 You have three options to choose from through your OSD or GameView settings. 1 Actual refresh rates may vary depending on model and/or region, computer specifications/hardware and/or set up. This device is designed to support refresh rate overclocking up to 144Hz. However, overclocking may result in system instability. If you experience instability, try reducing the overclock to a lower refresh rate through the on-screen display settings. 2 This feature may not be available for all games. 3 Access your profile by selecting Action / Racing / Sports profile in game mode. 4 GameView specifications and features may vary depending on model and/or region. 5 35% color coverage comparison relates to 99% Adobe RGB vs. standard sRGB. 6 Specifications may vary depending on model and/or region.